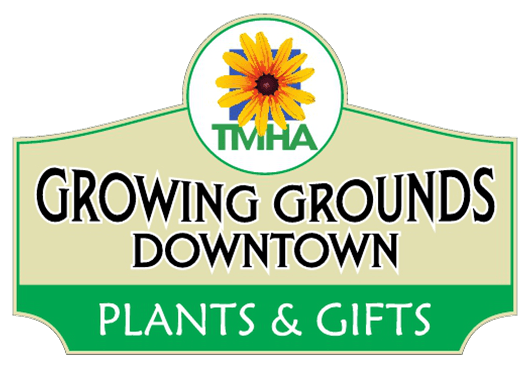 Located in the historic Chorro Hill area of downtown San Luis Obispo, our store is both a retail location for top quality plants and gifts, as well as a supported employment program of Transitions-Mental Health Association. The Store provides work opportunities and training for our clients, particularly those developing experience in retail and customer service. Stock up on supplies for outdoor and indoor gardening projects: pesticide-free heirloom vegetable plants, drought tolerant and native garden plants, citrus trees and succulents. Don’t miss the local honey, herbal body care products, houseplants and fair trade gifts. Every dollar spent at the Store supports mental health services in our community. Check out our store’s Facebook page or Instagram for special events, sale items, new arrivals, plants of the week, and other store related announcements. You can also find us on Yelp! Many of our plants come from our sister businesses, Growing Grounds Farm in Santa Maria and Growing Grounds Farm & Nursery in San Luis Obispo. To learn more about our plants, including a list of our Mediterranean perennials, California natives, succulents, named Irises and more, go to www.growinggroundsfarm.org. Look out for our yellow tags at other plant and nursery retail locations throughout the County! For information regardng our parent organization, Transitions-Mental Health Association, call (805) 540-6500 or email info@t-mha.org.